Recovery is an independent, lightweight runtime environment that's included on a separate partition from the main Android OS on all Android devices. By entering recovery mode, you can factory reset the device, delete the cache partition, or apply software updates. If your Samsung phone comes across some serious problems, such as having a virus, software being corrupted, the screen being frozen, recovery mode can help to fix these problems. Download mode, also known as Odin mode, is a mode that is more often seen in Samsung devices. 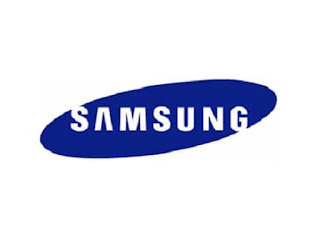 After entering download mode, users can connect their Samsung phone with PC and flash ROMs and kernels using software like Odin download tool or any other software. These ROMs and kernels might be official firmware builds, ROMs, rooting files and more. 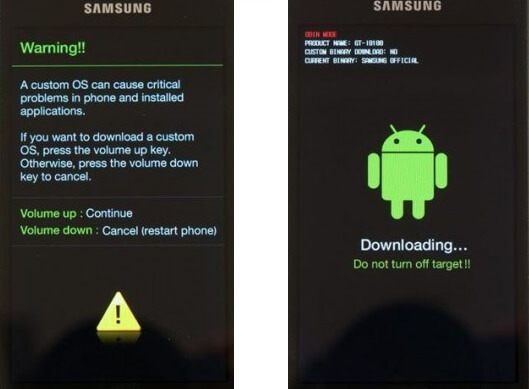 Both recovery mode and download mode allow users to flash ROM on Samsung phone, but are performed in different ways. Flashing ROM via recovery mode needs ROM in zip format and don't need to connect to computer. On the other hand, if flashing ROM by entering download mode, you have to connect the Samsung phone to computer and use Odin to perform the flashing with ROM file *tar or *.tar.md5 format. Press and hold "Volume UP + Power + Home" button at the same time, and as soon as the phone reboot, release all three buttons and wait to enter the recovery mode. Reboot system now: This will exit the recovery mode and get your Samsung back to normal state. Apply update from ADB: It's designed for developers and often used to fix applications bugs. Wipe data/factory reset: This will wipe all of your data (photos, videos, music, apps, everything) and return the phone to factory conditions ready to be setup all over again. Apply Update from External Storage: the option allows you to detect update information from external storage. : 10px;"> Wipe cache partition: This is will delete temporary system data, mostly cache data of apps. But your personal data or settings will be fine.